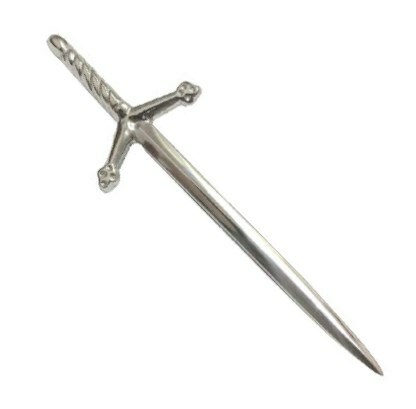 Claymore sword kilt pin. Perfect to set off your kilt. + The Claymore (Gaelic Claidhmhor, meaning "big sword") was a typical Highlander's sword. + Made of brass with a bright chrome and nickle finish. + Size: 103x30mm (4x1.18 in).